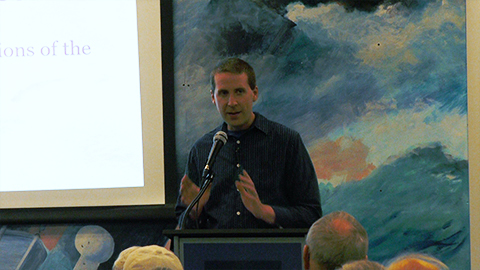 Mark Sprang presented on the Historical Collections of the Great Lakes at Bowling Green State University, one of the most significant collections of Great Lakes archival materials. He highlighted some of the most interesting and engaging items from the collection and showed what it takes to preserve and manage such an extensive collection. The lecture was held at the National Museum of the Great Lakes.